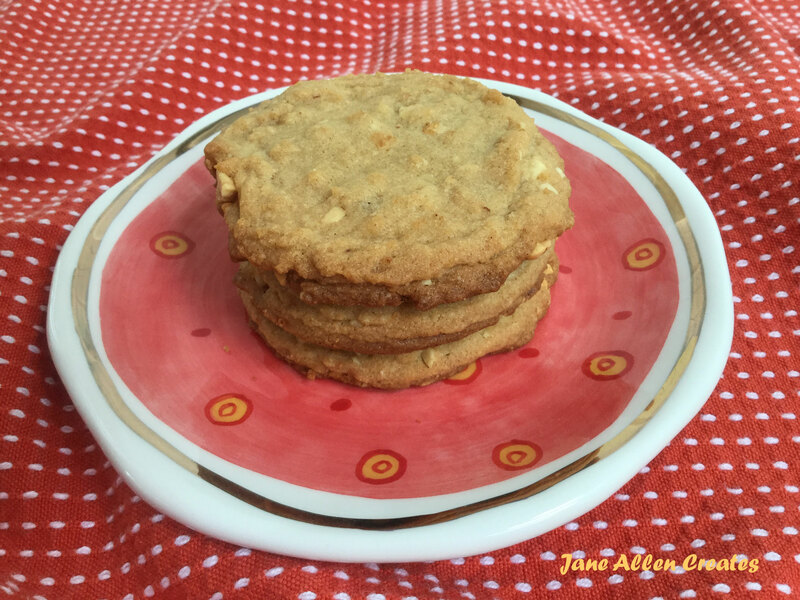 I have tried a number of peanut butter cookie recipes, but by far this is my favorite. They have a nice rich peanut flavor…not too sweet. In fact they border on healthy or at least that is what our friend Gary says. This recipe I got from The Best Recipe Cookbook published by Cooks Illustrated. To me the secret ingredients that make these cookies exceptional are the chopped roasted peanuts and chunky peanut butter. They might be a little more work, but are worth the effort. You chop a cup of peanuts and add them to the batter at the end. Once the batter is prepared I use my 2 tablespoon scope and place them on the cookie sheet. I then use the tines of a fork and press a crisscross design on them. Adjust ovens rack to upper- and lower-middle positions and heat oven to 3500 Line two large cookie sheets with parchment paper. Whisk flour, baking soda, baking powder and salt together in medium bowl; set aside. Beat butter until creamy. Add sugars; beat until fluffy, about three minutes with electric mixer, stopping to scrape bowl as necessary. Beat in peanut butter until fully incorporated, then eggs, one at a time, then vanilla. Gently stir dry ingredients into peanut butter mixture. Add ground peanuts; stir gently until just incorporated. Working with 2 generous tablespoons each time, roll dough into 2 inch balls. Place balls on parchment-lined cookie sheets, leaving 2 ½ inches between each ball. Press each dough ball twice with dinner fork dipped in cold water to make crisscross designs. Bake, reversing position of cookie sheets halfway through baking time (from top to bottom racks and back to front), until cookies are puffed and slightly brown along edges but not on top, 10 to 12 minutes. Cookies will not look fully baked. Cool cookies on cookie sheet until set, about 4 minutes, then transfer to wire rack with wide spatula to cool completely.